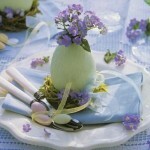 The celebration of Easter holyday is not complete without attribute, such as Easter tree. It is also called the tree of life. 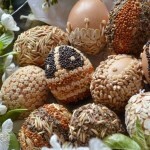 In making an Easter tree, you can use decorative eggs, the shell of the egg, knitted eggs or Easter egg bead. In addition, you can decorate the tree with figures of birds, cakes, bright flowers and ribbons. 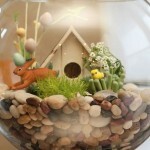 Easter tree should be a fun filled with the smell of spring and celebration. 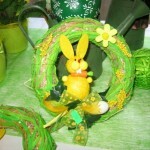 The Easter tree made from young branches of trees, but as decor often use artificial materials such as a wire. 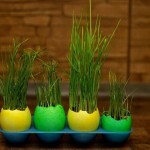 And also, if desired, you can decorate an Easter tree, using potted plants, bright and fun decorating them with colorful elements.